Come enjoy our monthly talks to connect with the “how to” and “who” on community topics and resources. Get connected with your community! Create Your Family Spending Plan and Other Personal Finance Essentials. How to create a plan that has your money doing what’s best for you and your family. Come learn some financial management basics that ANYONE can work into their life today. Come by and learn about planning for your summer garden from a Master Gardner. Join a UC Cal Fresh Nutrition Educator to learn ways to make meal time more fun! Discover how adults and children can work together to make and enjoy healthy meals. All ages are welcome to participate in this hands on workshop. We will help beginners get started and guide them in their research. We also welcome experienced genealogists and encourage them to share their knowledge and discoveries with others. Anyone with an interest in tracing their “roots” will enjoy this presentation. Every first Friday of the month from 1-2pm. Click on the event 🢃 you would like to sign up for. Join a UC Cal Fresh Nutrition Educator to learn ways to make meal time more fun! Discover how adults and children can work together to make and enjoy healthy meals. All ages are welcome to participate in this hands on workshop.Enjoy our monthly talks to connect with the "how to" and "who" on community topics and resources.Community Connects is a partnership of Shasta Community Health Center and Shasta Public Libraries. We will help beginners get started and guide them in their research. We also welcome experienced genealogists and encourage them to share their knowledge and discoveries with others. Anyone with an interest in tracing their "roots" will enjoy this presentation.Enjoy our monthly talks to connect with the "how to" and "who" on community topics and resources.Community Connects is a partnership of Shasta Community Health Center and Shasta Public Libraries. 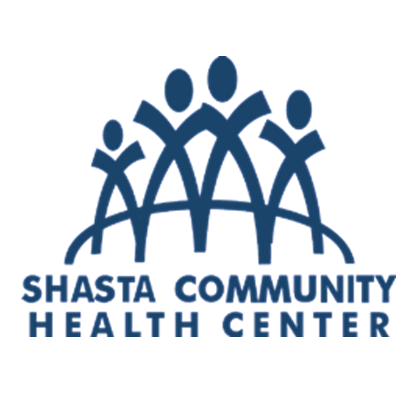 Community Connects is a partnership of Shasta Community Health Center and Shasta Public Libraries.